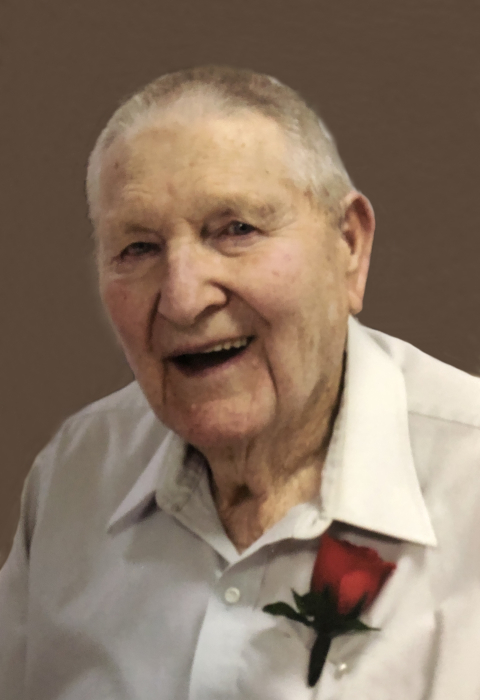 Norbert Fries, 92, Mandan, formerly of Mott, passed away on Friday, April 12, 2019, at Sunset Drive – a Prospera Community in Mandan. Mass of Christian burial will be held on Tuesday, April 16, 2019, at 9:30 am at St. Joseph’s Catholic Church in Mandan with Fr. Jarad Wolf officiating. Burial will follow at the North Dakota Veterans Cemetery in Mandan with full military honors. Visitation will be held on Monday, April 15, 2019, from 4:00-7:00 pm with a Rosary and Parish Vigil beginning at 6:00 pm at Buehler-Larson Funeral Home in Mandan. Visitation will continue one hour prior to services on Tuesday. Norbert was born on February 6, 1927, to Jacob and Katie (Meins) Fries in Mott. Norbert graduated from Mott High School in 1945. He served in the United States Army from 1945 to 1946. He was a life long member of the American Legion Taylor Skartvedt Post #71. He was also a life long member of the Knights of Columbus and a past president. Norbert was a retired farmer and cattleman. He is survived by his loving wife, Frances, and six children: Norbert Jr. (Janie) Fries, Noreen (Duane) Olson, Nancy (Mark) Ramsland, Norm (MaryJo) Fries, Ray (Kathy) Fries, and Lisa Fries. He is also survived by 15 grandchildren and 26 plus great grandchildren. He was preceded in death by his parents, brothers, Jake and Don, and sisters, Helen Lutz, Emmie Lutz, Irene McKinney and Vernie Friedt.